Michael Gwyl Bevan (born 8 May 1970, Belconnen, Australian Capital Territory) is a former Australian cricketer. He is a left-hand batsman and a slow left arm chinaman bowler. He was an AIS Australian Cricket Academy scholarship holder in 1989. 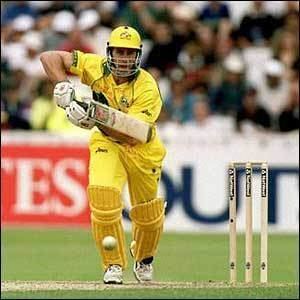 He played 232 ODI matches for Australia, and was a part of the 1999 and 2003 teams that won the World Cup. He was known as a "finisher" for Australia, particularly in ODIs, often leading the team to victory in the company of tail-enders. He holds the world record for the best batting average for One Day Internationals by a retired player of 53.58. In List A cricket as a whole, Bevan has an average of over 57, the highest of any player to have scored 10,000 runs in List A games (second is Virat Kohli, on 54.50). Bevan is of part Sri Lankan ancestry. He married his English wife Tracy in 1994. As of 2014, Tracy Bevan was working for the McGrath Foundation. Although Bevan played most of his domestic career for the New South Wales Blues, he moved to the Tasmanian Tigers for the 2004–05 season, where he continued his successes up until his retirement in January 2007. He has also played for South Australia and in England for Yorkshire, Leicestershire and Sussex. 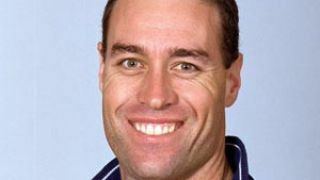 Michael Bevan's first senior club was Weston Creek Cricket Club in Canberra. Apart from coaching the Chennai Superstars in the Indian Cricket League, Bevan now participates in the Beach Cricket Tri-Nations series for Australia. In January 2011, Bevan was announced the coach for Indian Premier League team Kings XI Punjab. The major teams he has played for are: South Australia, New South Wales, Yorkshire, Sussex, Leicestershire and of course Australia. He finished his career playing for Tasmania, where in the 2004/05 Sheffield Shield season, he scored a then-record 1464 runs in the season. Despite this form, he was missed Australian selection due to his age. 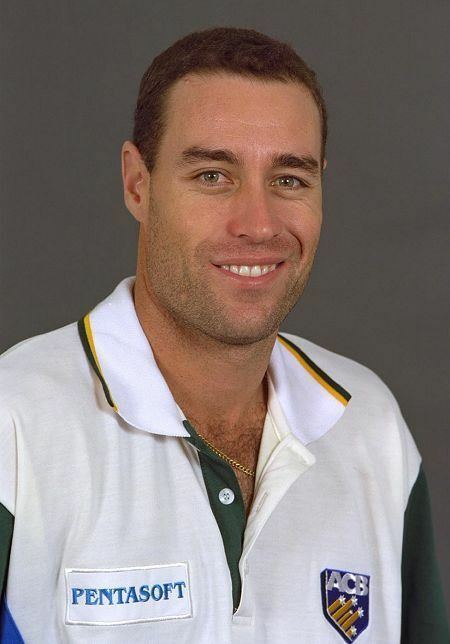 Bevan made his One Day International debut for Australia in the 1994 Austral-Asia Cup at Sharjah and by the 1995–96 season he became a regular in the side. Nonetheless, he proved a reliable anchor at the bottom of the middle order, and he would often patiently guide Australia to victory following a rare top-order collapse – leading to him being nicknamed "The Finisher". 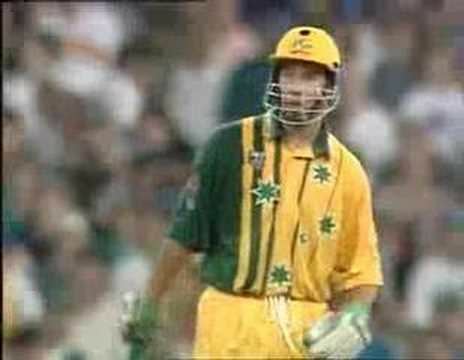 One of his most famous "anchor" innings was in the New Years Day One Day International at the Sydney Cricket Ground against the West Indies in 1996. With the Australians at one stage 6/38 chasing 173, his unbeaten 150-minute 78 got the Australians over the line with a four on the last ball of the innings. By the end of his ODI career, Bevan was known as the "Pyjama Picasso". Bevan previously appeared for Australia in the 1996 Cricket World Cup, where Australia lost the final to Sri Lanka, and the victorious 1999 Cricket World Cup side. Bevan entered the 2003 World Cup injured. He played his first game in the group stage against India. He didn't bat until the fifth group game against Namibia and he registered a rusty 17 before being caught and bowled by Louis Burger. In the final group game against England, he came in with Australia struggling at 48–4. He then was joined by Andy Bichel at 135–8 with 70 runs still required to win. Bevan finished on 74 not out and Bichel 34 not out as Australia managed to win in the final over. An unbeaten group stage was followed by an unbeaten Super Six stage. He made 56 against New Zealand helping Australia recover from 84–7 again batting with Bichel to help Australia win. His last knock was an unfortunate golden duck in the semi-final against Sri Lanka and he was not required to bat in the final which Australia won. 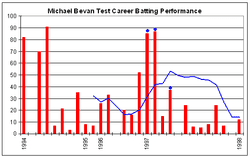 Despite his ODI success, Bevan's Test career was not nearly as successful. Thought to be susceptible to short-pitched deliveries, he never really succeeded in the longer form of the game, with an average of only 29. His problems with short pitched bowling are more myth than reality – he continued to perform consistently in ODIs, despite a rule change which allowed short pitch bowling in ODIs. He also scored heavily in domestic first-class cricket for New South Wales during this time averaging almost 60 with the bat. He performed well during his limited time as a bowler in Test matches, with his bowling style of unorthodox left-arm chinaman spin, including taking ten wickets in a Test match against the West Indies touring side in 1996. On 17 January 2007, due to injuries Bevan announced his retirement from all forms of cricket. "It got to the stage where injuries and pain were holding back my motivation, and it got to the stage where I was finding it hard to get up for matches and that was probably a pretty clear indication that it was time to move on," Bevan said. Bevan is one of only eight players with 30 ODI innings or more to maintain a batting average above 50. 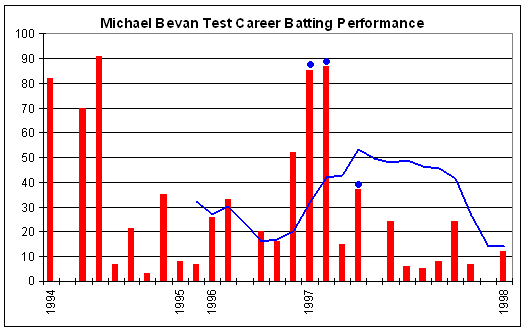 However, Bevan's best performance was as a number four. Of the players to have played 30 or more ODI innings, he is one of only two (with Michael Hussey) whose batting average never dropped below 40. This, coupled with the high price he put on his wicket, resulted in many not-out innings.